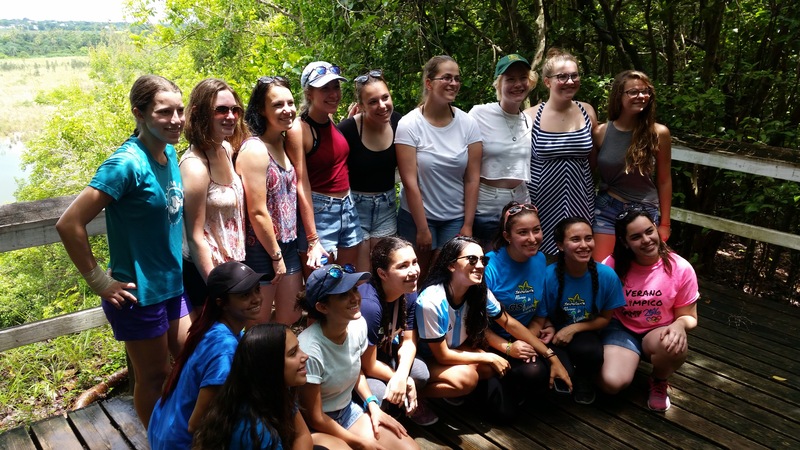 After two years of detailed planning and fundraising, nine Senior and Ambassador Girl Scouts from Groton troop 66530 had their ultimate adventure in scouting when they traveled to San Juan, Puerto Rico. 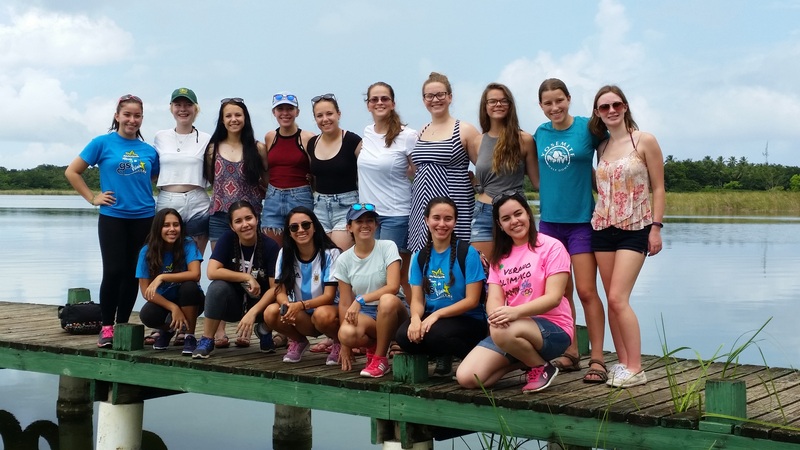 They explored historic and cultural sites and spent a full day with a San Juan Girl Scout troop! We made a list of what wanted to get out of the trip: culture shock, language immersion, to meet other Girl Scouts, and to bond as a troop. The more we thought about Puerto Rico, the more excited we became. We had to figure out a budget, how we would raise the funds, where we would stay and eat, and more. Over the next two years, we sold Girl Scout Cookies, ran car washes, and organized events for younger Girl Scouts to raise money for our trip. Many girls got jobs to pay their portion of the cost. Through all of this, we learned how to save and manage money, be responsible, and work as a team. Fast forward to summer of 2016. All of our work had paid off. Arriving in Puerto Rico seemed like a dream! In the five days there, we accomplished our goals. Those of us who are learning Spanish in school were able to exercise that skill in a real environment. We contacted the Caribe Girl Scout Council before we arrived, and spent one of our days with a troop that treated us like family and gave us an inside perspective to Puerto Rico. We formed long-lasting friendships with them—we have inside jokes, and know each other’s struggles, accomplishments, and dreams . . . and even each other’s favorite type of chocolate! Puerto Rico went far beyond any of our expectations. This trip was also our way of proving that Girl Scouts isn’t just cute girls selling cookies, or helping the elderly (though we do quite a bit of community service, as all people should). Girl Scouts is about getting gritty—about learning through real world experience. It’s about combining the qualities of each individual girl to create a motivated, highly-productive team. It’s about learning life skills and how to overcome any obstacle, no matter how much extra effort or late nights it takes. This trip taught us, as well as others, that we can accomplish anything, and have fun in the process. My troop is planning a trip to Puerto Rico in March. 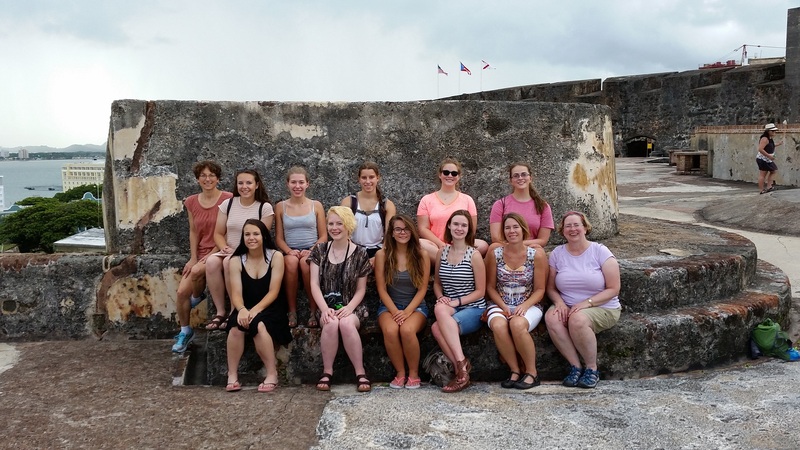 I would like to get troop leader’s email or phone number to get more details about your troop’s trip to Puerto Rico. Hi Lila! If you provide your contact information, our program team can reach out to you directly. They oversee all troop travel. Thank you! My troop is also looking at a trip to Puerto Rico in June 2019, We would love to to get some additional information as well. Can we also ask some questions to the troop? Hi Margie, If you provide your contact information, our program team can reach out to you directly. We ran out of time so have decided to go to LA. Thank you for your support!